Date : Paris, ca. 1520. Size : 6.5 x 4.1 inches. / 16.5 x 10.5 cm. Description :A manuscript leaf in a very good condition from a Book of Hours, written in Paris around 1520. The text is in a very regular hand in classic script in brown/black with the rubrics in red. 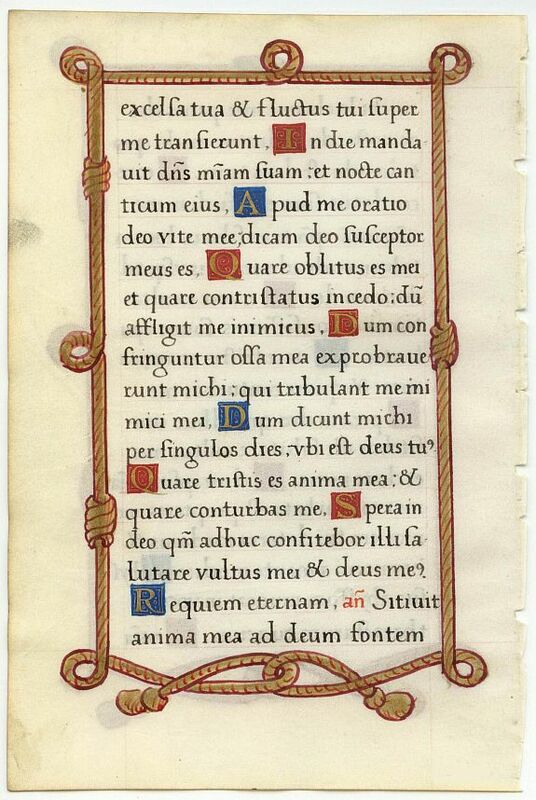 Around the text is a cord-like decoration colored with liquid gold. The initials are in gold on a background of blue or red. The text is from Psalm 41: we find this psalm in the Office of the Dead, Matins.